As long as we don’t forget or hide away the difficult bits. The difficult bits of our stories are where we learn and grow most of all, and, so, we may argue, where we are most alive. Jonathan Gottschall’s use of the word myth for our personal stories is a helpful one. A myth is something generally true but not specifically true. 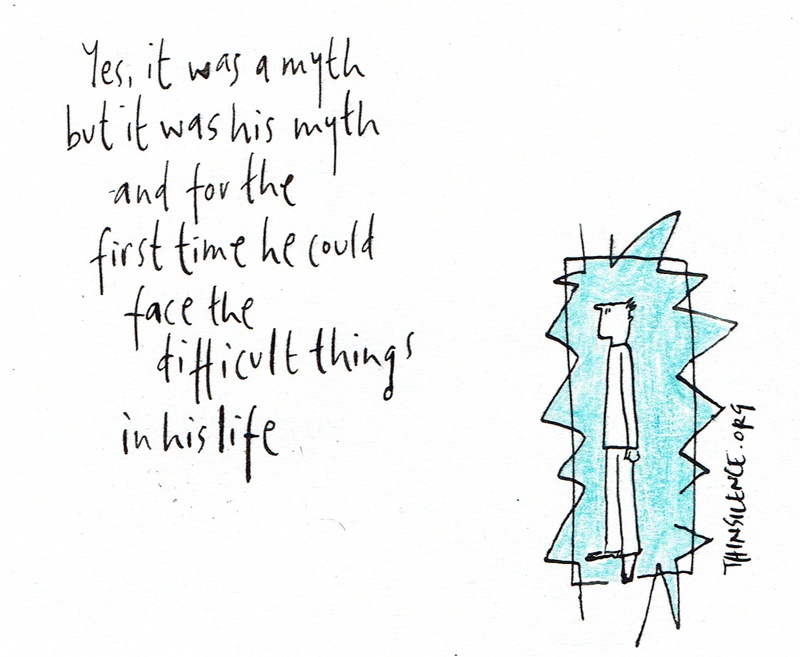 A myth helps us wrestle with some of the bigger themes of life, of our lives. It is why we can hold on to some of the more painful experiences of life, how we can re-tell these in our own words … generously, rather than allowing them to be told by others, why we can pursue meaning and find our happiness – bliss as one of the great mythologists Joseph Campbell names it. Bliss not as happiness but as meaning producing happiness along the way. Why not have a go at capturing your story in some daily pages?